Nails of the Day: Go Wales! 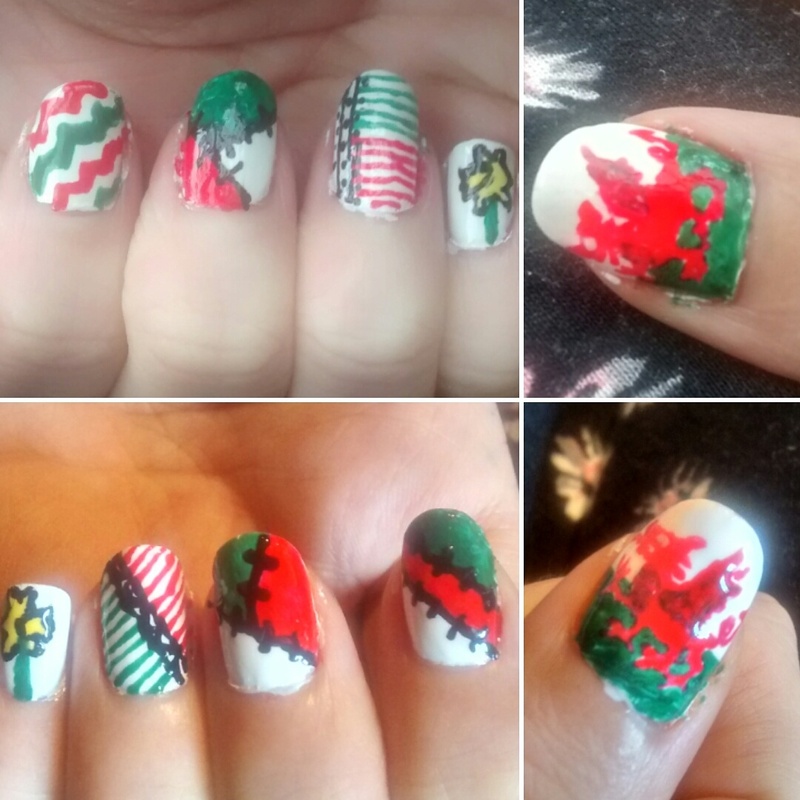 I don’t know how many of you are watching the Euros this year but as it’s the first time in over 50 years Wales have been in an international football tournament and are through to the quarter finals I thought I’d do some Wales nails. I used Models Own Snow White as a base, I actually ended up doing about six coats before I felt it was even and flat enough so not sure I’d recommend it as a good white nail varnish. I used my Rio Professional Nail Art Pens in the original set for the green, black, red, silver and yellow. I used Seche Vite on top but I have found it’s already peeling a bit so not sure if it’s the combination of the Rio bail pens and the top coat but it dies not seem to work. One thing I have found doing this is that the Rio pens don’t work great if you do it too thick as it takes ages to dry and doesn’t let the top coat set properly I think.